Currently, a county or state employee retirement plan member who has been terminated and filed a grievance may request and receive up to $25,000 from his or her retirement account during the grievance process. LB34, introduced by Seward Sen. Mark Kolterman, would eliminate this option. Kolterman said the practice is in violation of an IRS single distribution requirement. 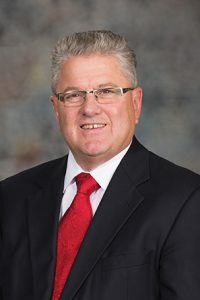 In addition, he said, the Nebraska Public Employees Retirement System has found that members who take this option often spend the money quickly and NPERS is left attempting to regain the funds, which must be repaid within two years. A Nebraska Retirement Systems Committee amendment, adopted 31-0, added provisions of three additional bills. LB35, also introduced by Kolterman, would clarify that a county or state permanent employee must be at least 18 to be eligible for membership in the county or state employee retirement plan. The provision would take effect Jan. 1, 2020. LB36, introduced by Kolterman, would modernize language and codify the NPERS practice of awarding service credit by unifying the creditable service definition across all school employee retirement plan tiers. The provisions also would grant NPERS additional time to process refund buy back payments for members who were employed on April 17, 2014, and who timely submit their refund buy back applications to NPERS by April 16, 2020. 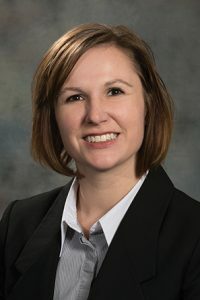 Finally, LB565, introduced by Lincoln Sen. Kate Bolz, would clarify that when a beneficiary is not designated in the state, county or school retirement plans, benefits would go to the surviving spouse. Under the provisions, if a member of the retirement system is married at the time of his or her death and there is no designated beneficiary on file, the spouse married to the member on the date of the member’s death would be the beneficiary. If the member is not married on the date of his or her death and there is no surviving designated beneficiary on file, the benefit would be paid to the member’s estate. Following adoption of the committee amendment, LB34 advanced to select file on a 36-0 vote.